Before you pay a visit to your school’s career center, you should put some thought into how you’ll use its services. Here are three tips to help you navigate your college career center. Before you first walk into that career center to take advantage of these services, you should come prepared, according to Candace Lamb, assistant director of career services at Indiana University Bloomington. The career center at your college doesn’t have to be a one-and-done deal. In fact, it shouldn’t be, according to Lamb. Even after college, many college career centers offer alumni help (sometimes at a price). If you start that relationship with the career center during college, it may make things easier on you if you seek its services after college. You’ll know how the process works and will have gotten the preliminary steps out of the way. Lamb urges readers to not feel bad for going back into the career center office with a new career plan or major. Don’t let that discourage you from returning. Figure out your plans throughout your college years, in the presence of a career advisor. Sometimes in life, college and the workforce, simply showing up to something can open up more doors than you could have ever imagined. In an article for US News & World Report, University of Kansas student Lindsey Mayfield advises students to take full advantage of college career services. Learn to embrace the “Yes Man” mentality. In that 2008 comedic film, Jim Carrey’s character began saying “yes” to every invitation that came his way. And while that can turn out reckless because nobody should say “yes” to everything, more opportunities did end up coming his way. In regards to taking advantage of your college career center, saying “yes” to as many events as possible that the center puts on may possibly lead to opportunities. You won’t know unless you go. 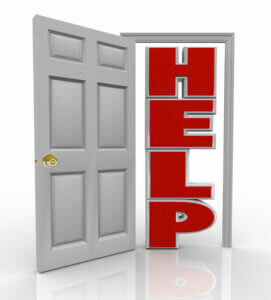 Even if you can’t make many of the events, why pass up the help of career advisors? They may be able to present career and internship opportunities to you, coach you on your job interview skills, and a whole lot more. Jon Fortenbury is an Austin-based freelance writer who specializes in higher education. He contributes to several education websites, including OnlineColleges.com. He blogs at jonfortenbury.com.